At our recent Lunch Hour with the Mayor, Mark Sorensen met with our members to talk about the state of the City. After approving a $109.7 million dollar budget for the 2015-2016 fiscal year, the Mayor says the City is bouncing back far more quickly than anticipated, but the initial 10-year projected recovery time is still accurate when we consider building back reserves and having the flexibility to proactively invest in our community. New Police Chief Michael O'Brien, who attended our June Board meeting, says his department will refocus on addressing top complaints in the community which center around "quality of life" crimes that erode residential and business confidence. His department, he says, is on the rebound after officer numbers bottomed out earlier this year. Things, it seems, are finally looking up for the City after a long and arduous journey from near insolvency a few years ago, but the City still has work to do, as the Mayor cautions. 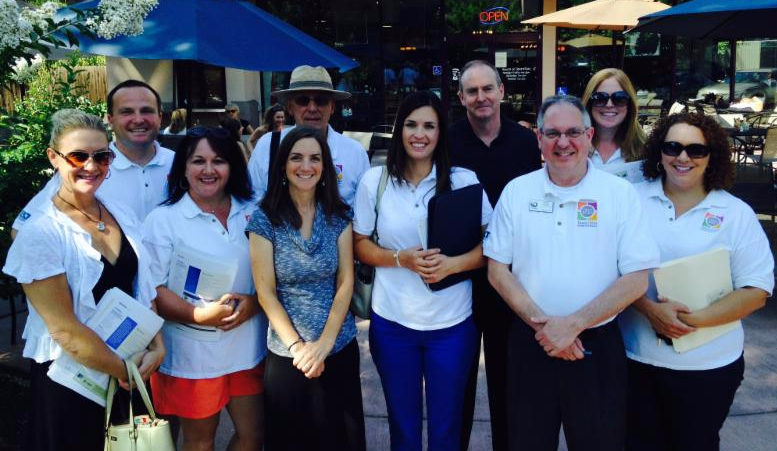 Businesses, on the other hand, are thriving like those we visited on our Team Chico Business Walks on June 24th, see below. One business reported hitting record sales numbers month after month which has led to more jobs and possible expansion plans. You've heard us say that everything you see is a result of a successful business, and this is precisely why. If you were born between 1980 and the early 2000s please take our 3-minuteMillennial Survey, or forward it to the millennials in your life! The results of this survey will offer us a rare sneak peek into the future of our community. Thank you for helping us reach our goal of 500 responses!